In a large bowl, stir peanut butter, vinegar, honey, soy sauce, lime juice, fish sauce, sesame oil, garlic and crushed red pepper until well blended. 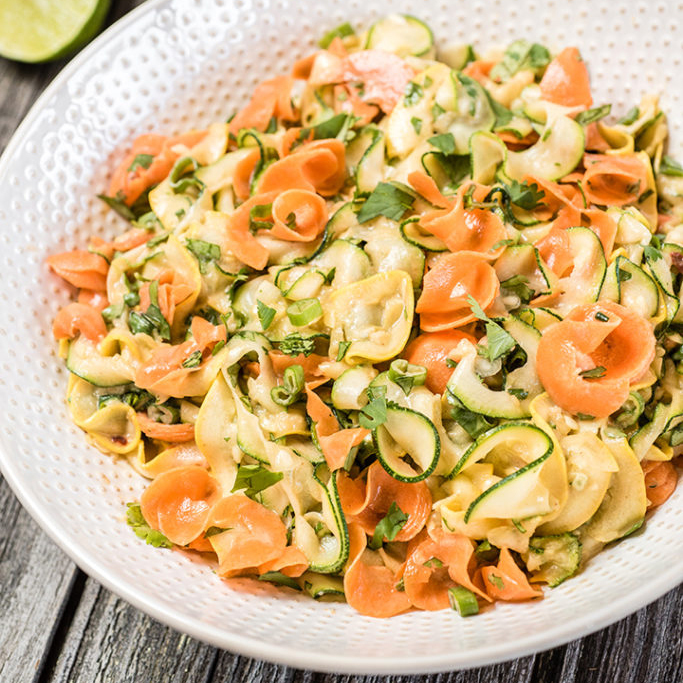 Using a spiralizer, make ribbons of zucchini, yellow squash and carrot. Add to peanut sauce and stir to blend. Sprinkle with cilantro and green onion. Toss to combine. Serve immediately.